A few hikers enjoy Bell Rock Pathway near the Village of Oak Creek. 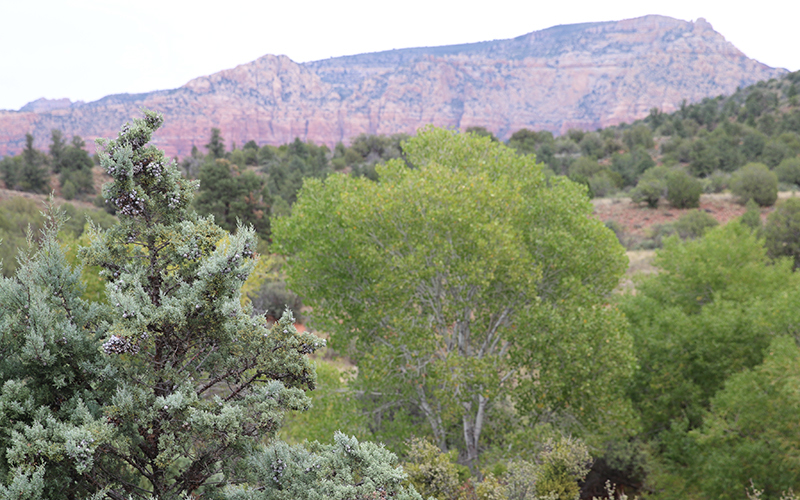 Higher elevations allow trees to change the color of their leaves. 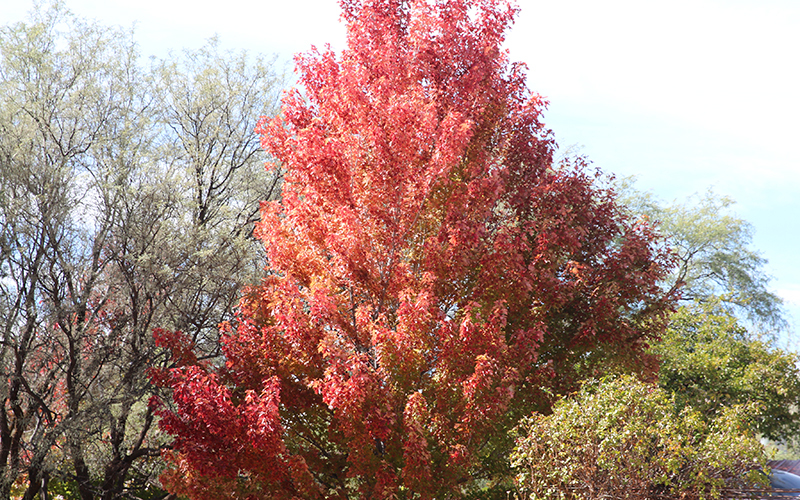 Normally around this time of year the leaves on the trees in northern Arizona have changed to reds, oranges and yellows. The explosion of color that attracts tourists each fall was dulled by warmer, rainier and windier weather conditions, rangers said. “We’ve had a really wet fall, we’ve had a lot of windy days and what that does is it makes the colors turn, the leaves turn really fast but then they fall off the trees really fast too,” said Nicole Branton, District Ranger of Red Rock Ranger district, Coconino National Forest. 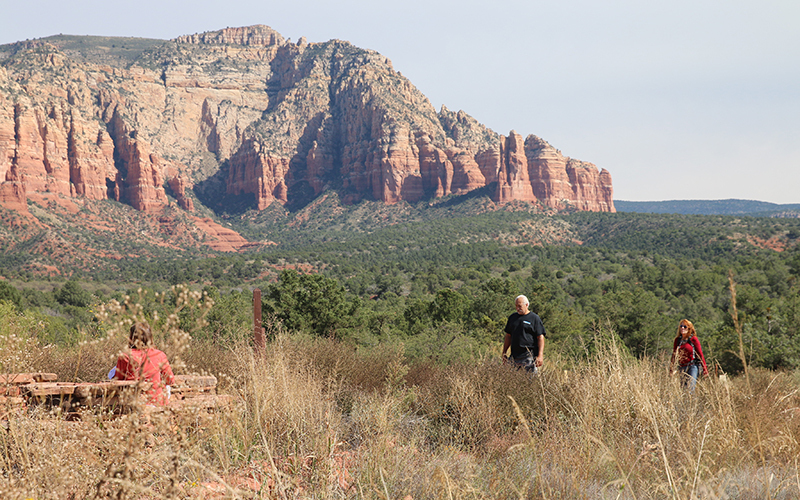 But hikers are still coming to the area, according to the Sedona Chamber of Commerce. Dale Bush came from California to get away from the traffic and enjoy the nature Arizona has to offer, but says she would have liked to see the changing fall leaves. The Arizona Office of Tourism collected data on how much money visitors spent in Coconino and Yavapai counties. The category covering hiking – arts, entertainment and recreational activities –has increased in both counties over the past eight years. Forest rangers said they have received a few phone calls asking about the leaves in the area and have described to visitors what they believe is the reason the leaves aren’t changing color. Rangers say there may still be a change in the next couple of weeks.